Number of Children Babies born (7) - 3 Boys and 4 Girls. Basically the vine (Jesus Christ) is the combination of Divinity and Humanity. John 1:1&14, Mathew 3:16-17, 8:20, Mark 4:35-41 - Humanity sleeps, Divinity never sleeps. As the Divinity is, so is the branches - 1 John 4:17, Mark 6:30-32. No matter how anointed a man of God is, he needs rest. 2 Peter 1:2-4. 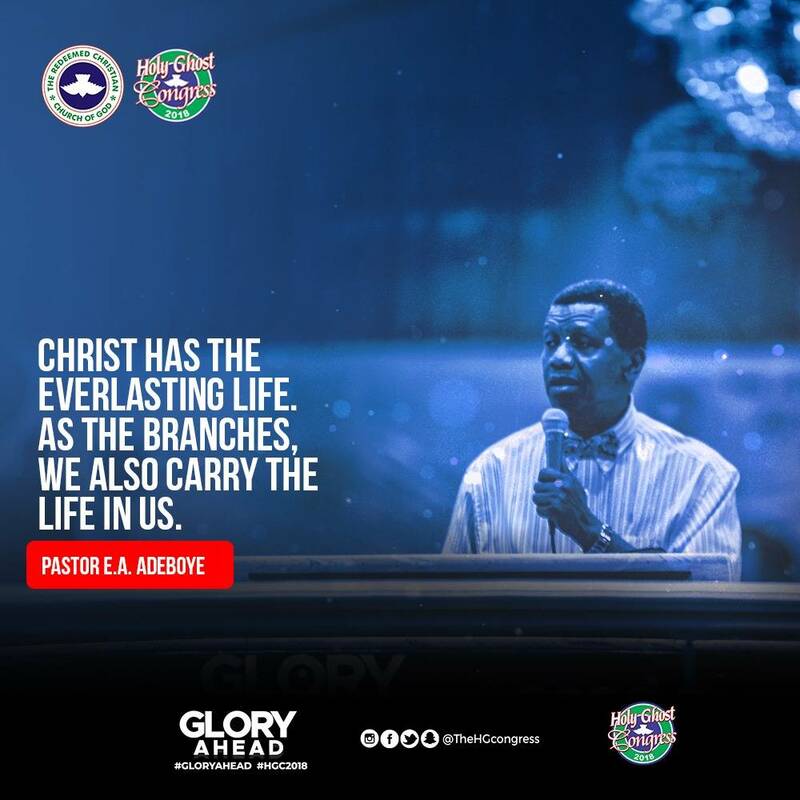 The branch can do nothing without the Vine - John 15:5. John 14:10 - Jesus did all he did through the father. Who is that, that is in you? Galatians 2:20. Revelation 12:10-11, John 10:10. If Christ is in you - His virtue and Power will flow through your vein - Ephesians 3:20, Mark 5:25-34, Acts 19:12. Every branch of the Vine can do what the vine can do. You can imagine what will happen if two branches comes together to heal the sick - Mathew 18:19, Mark 16:17-18. 1. Father, everything that is in my system that is not of God, let your blood consume it. 2. Father let your spirit quicken the body of my neighbor right now. 3. Father, we are in one accord in your church let there be no more cancer. 4. Father, from now on when I lay my these hands on the sick let them recover immediately.